Wait! Did you miss Day 2? Click here! Since we were able to make it a day before the rest of the family got it, we did a bit of sightseeing. And, oh my! It was a lot of fun. 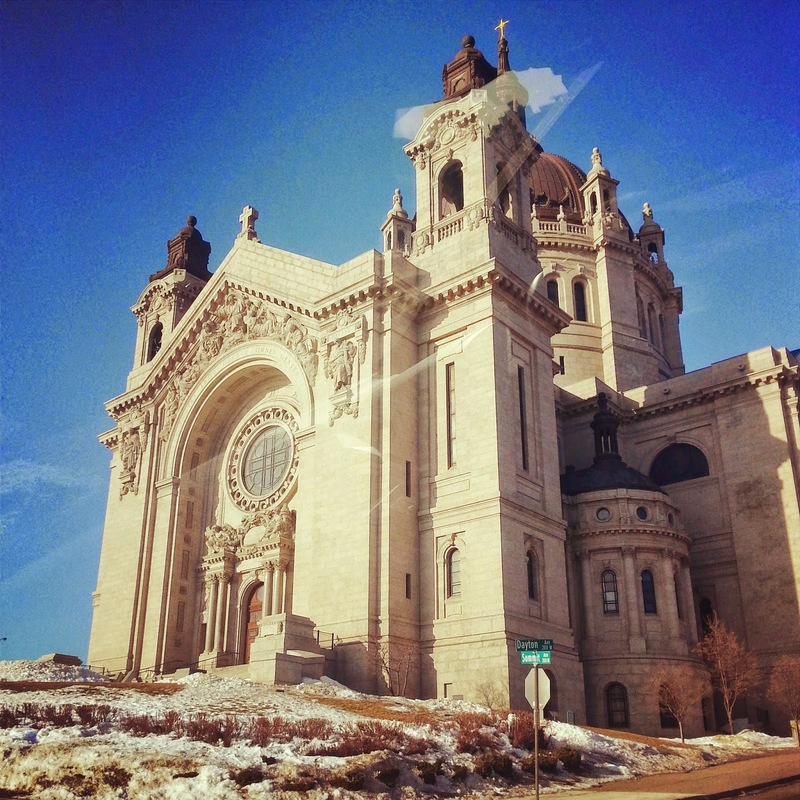 We drove over to St. Paul and we walked all over Minneapolis. It was a lot of fun. The boys LOVED it!! 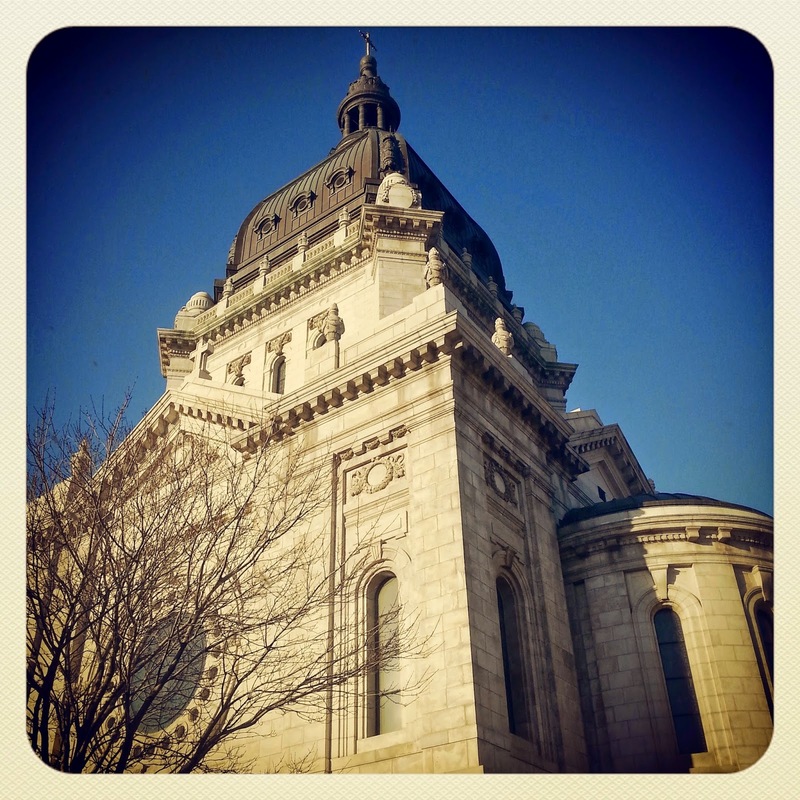 On our way over to St. Paul, I grabbed a picture of the Basilica of Saint Mary. Just beautiful! 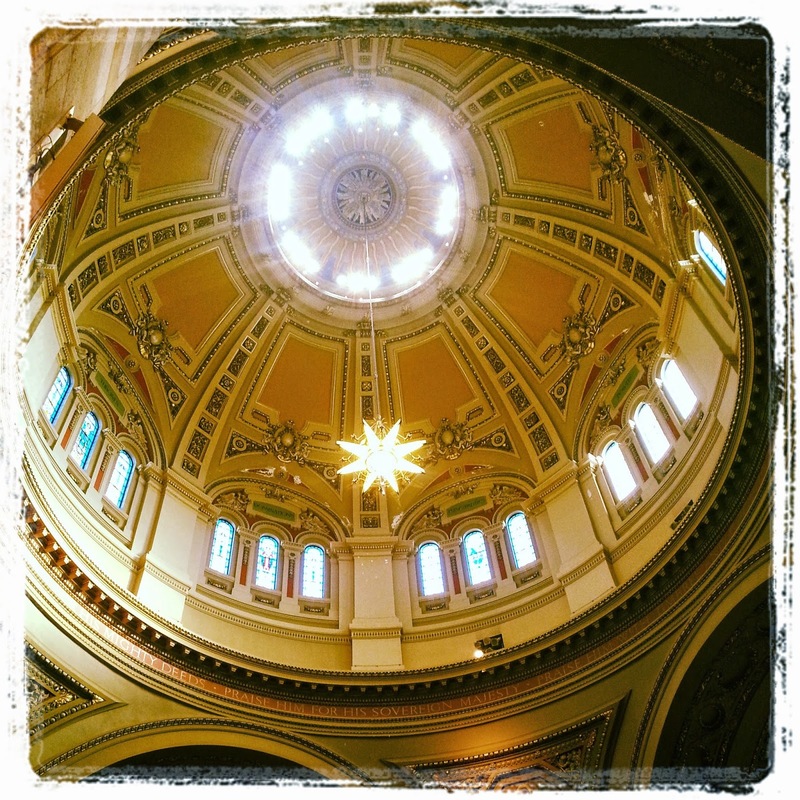 The gorgeous Cathedral of St. Paul - one our must sees on the list. 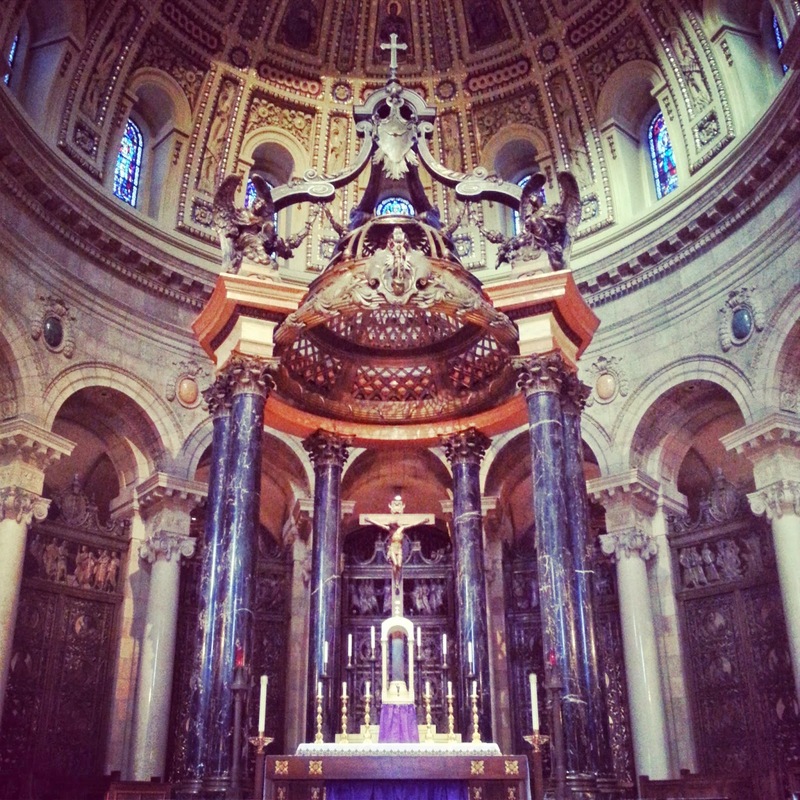 The Altar - just beautiful. 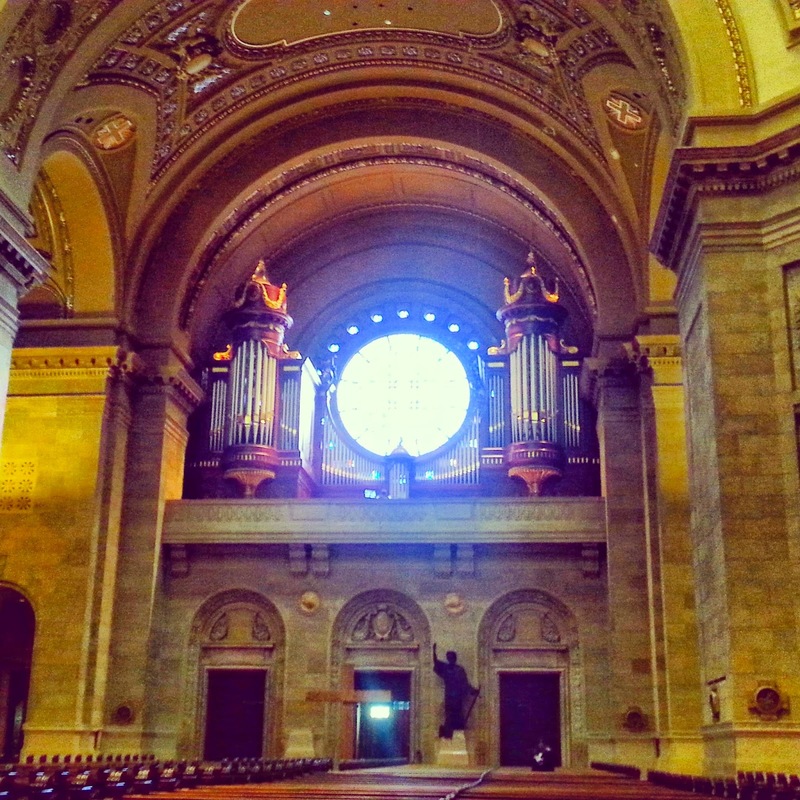 After learning about the organ at our church, Andrew was very impressed with this sight! On our way back to walk around Downtown Minneapolis, I had to make sure I took this picture... That is the Mississippi River. 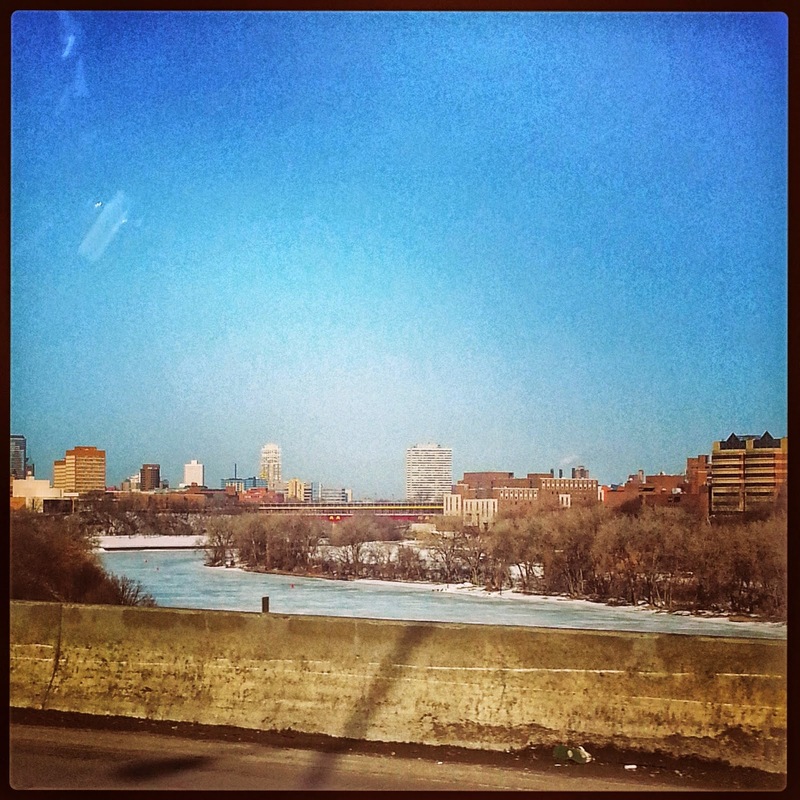 The Mississippi River is FROZEN...something is just wrong about that. 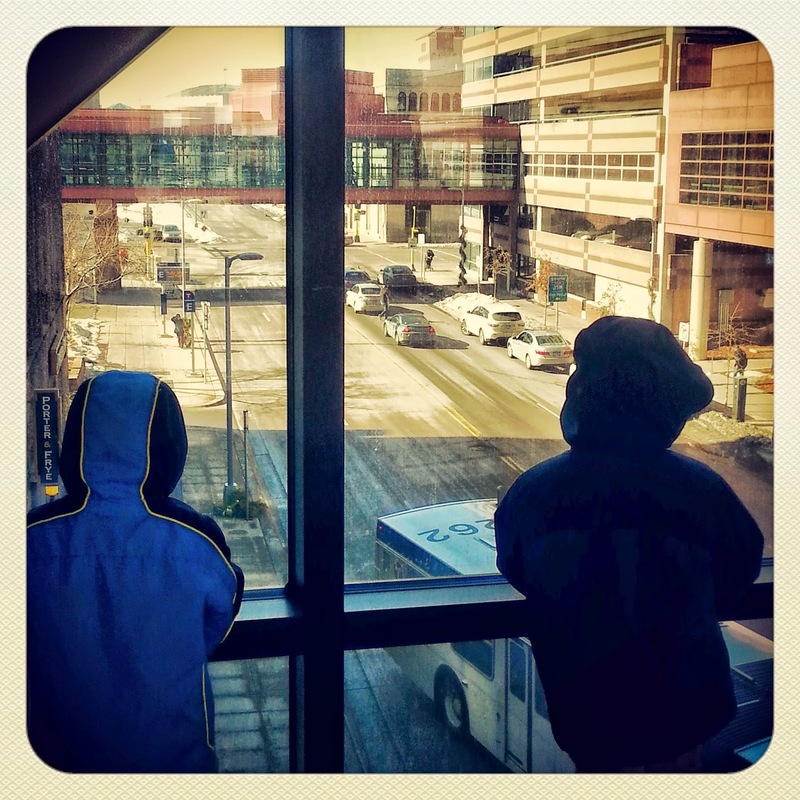 We learned how people survive here - the Skywalk System. I kid..but only a little. 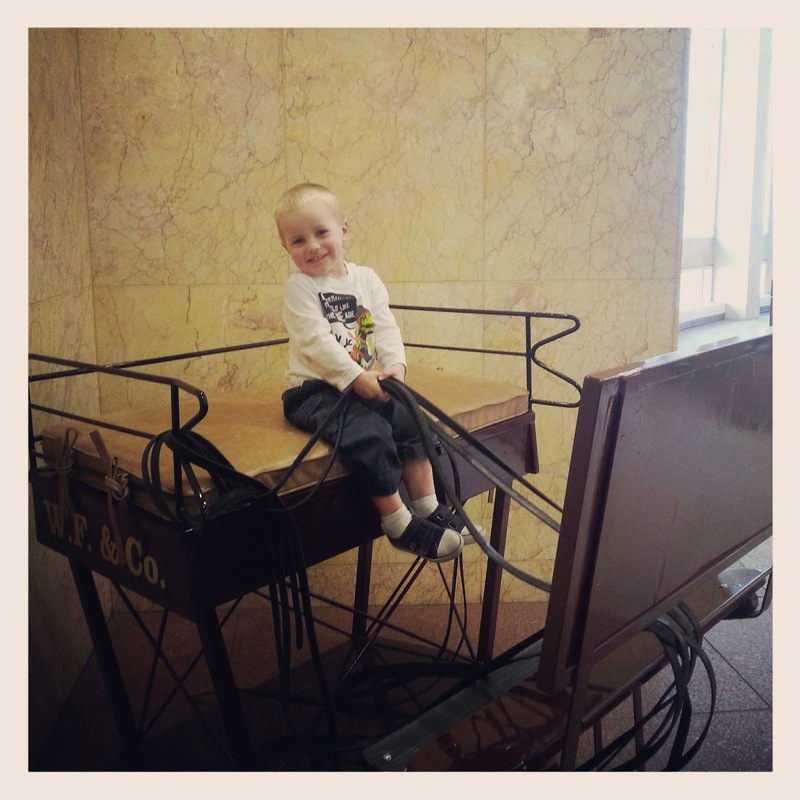 At the Well Fargo History Museum. 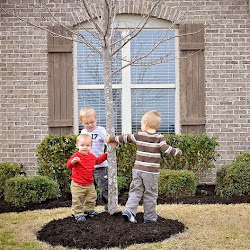 A free place that is pretty nifty for kids! 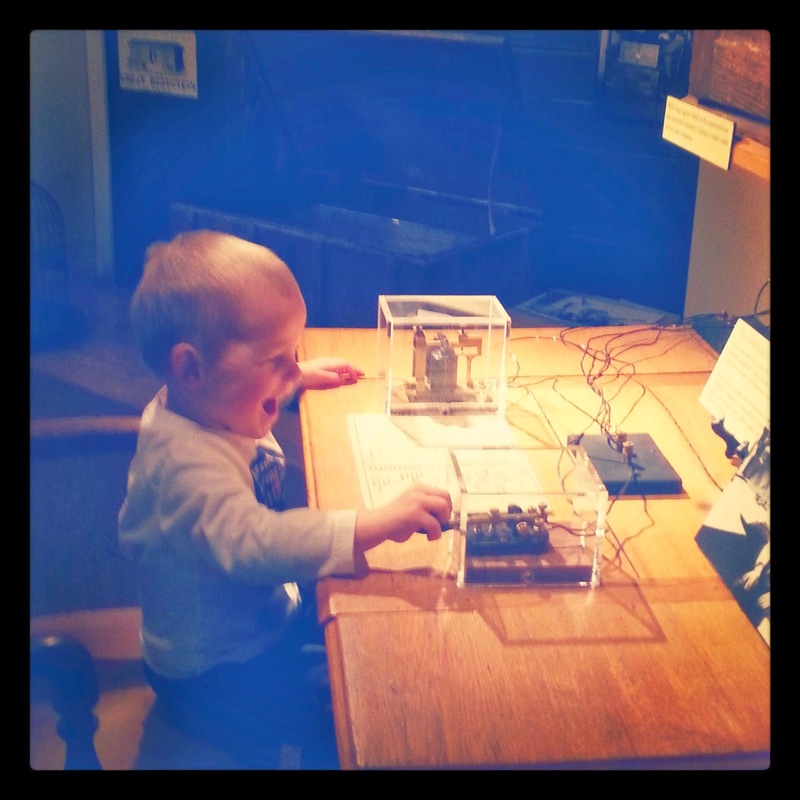 Alex loved the telegraph. 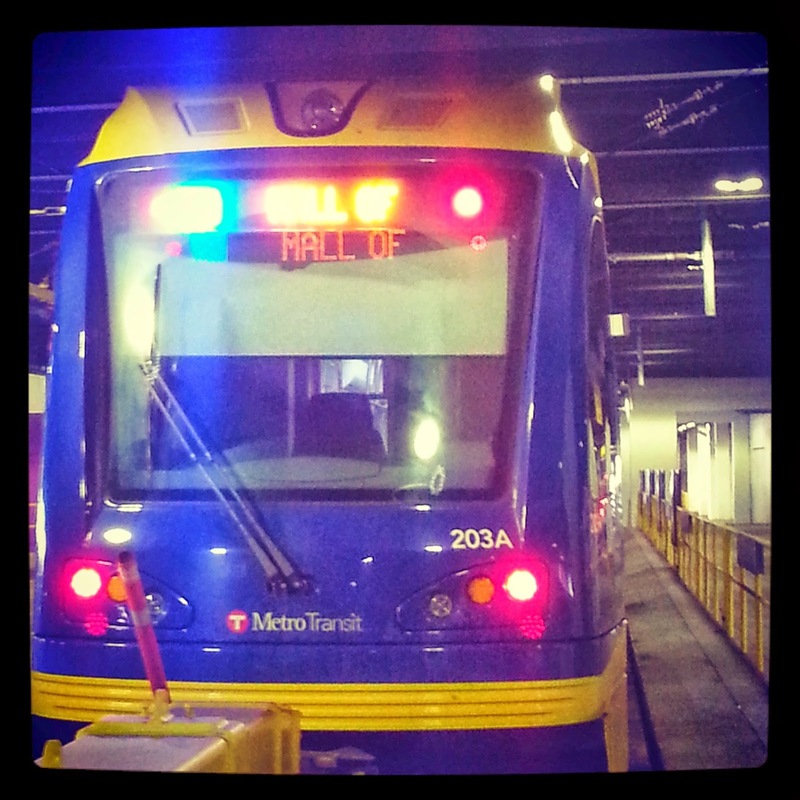 Once everyone was in town, we took the train to the Mall of America. Oh, yes. The Mall of America. 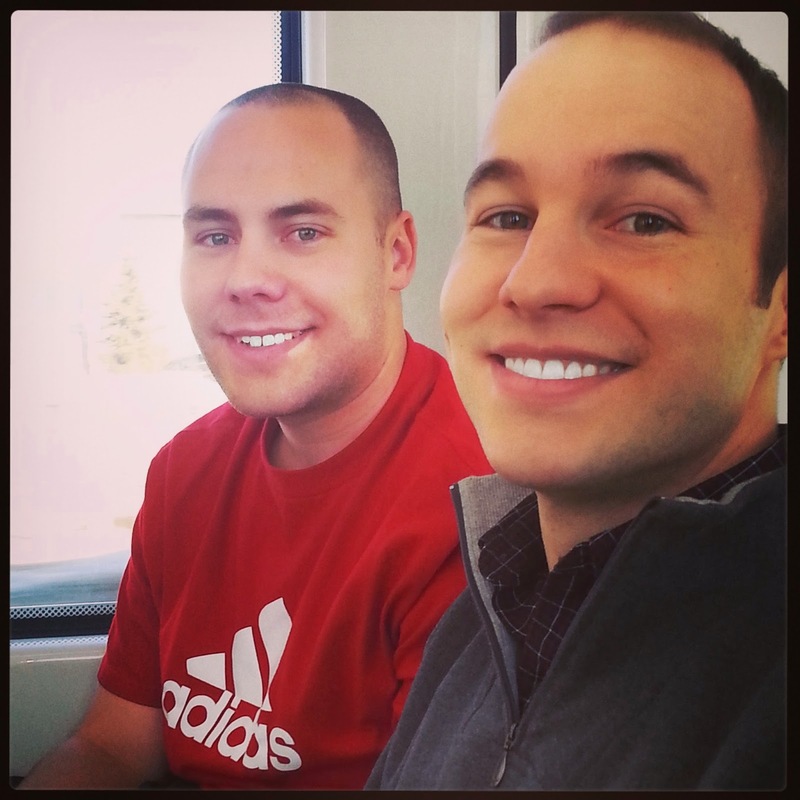 The city train - Andrew and Alex called it the Polar Express! They thought it was super cool! 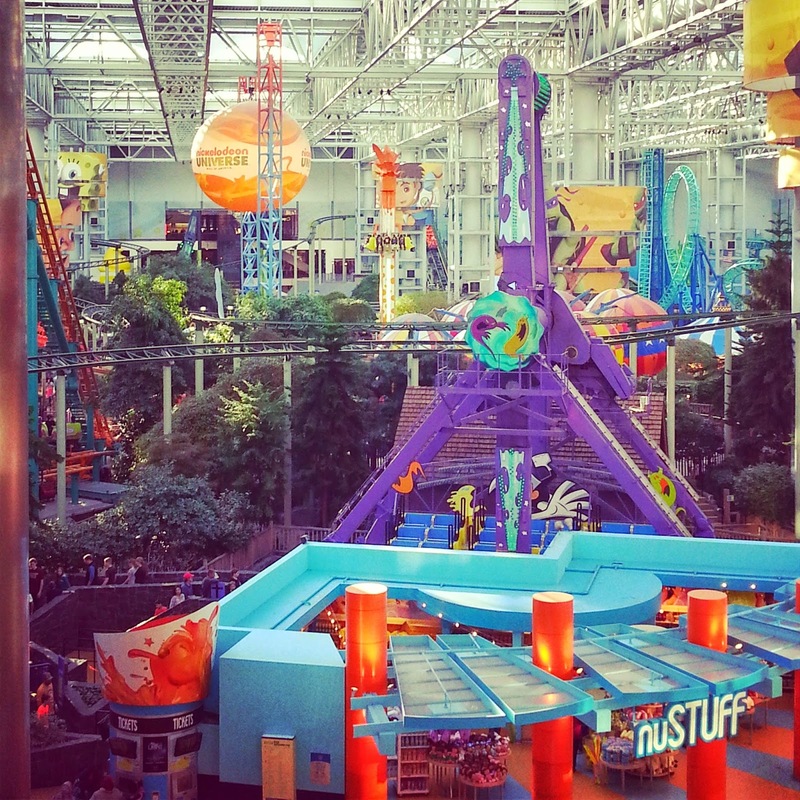 How about a sneak peek at the Mall of America before this post comes to an end? Click here for Day 4 - Mall of America and the Rehearsal Dinner! !